There is no question in anyone’s mind that for enterprises to thrive in this tech-led world, action is required. But what action, exactly? And how do you move forward? This year, ParadigmShift gathered 100 senior executives, experts, and innovators from around the world to explore the new way forward through the theme Action Required: The Future in Real Time. The event was held in Toronto, a city making global headlines as a booming innovation hub, home to tech giants and more than 4,000 startups. The message from all of our speakers was clear: the time for waiting, pontificating and timid half-measures is over. And just as change continues to accelerate, the consequences of waiting are even less forgiving. Chris Murphy, managing director, North America at ThoughtWorks, didn’t mince words, saying, “Organizations that fail to act decisively and evolve are becoming the equivalent of embarrassing parents standing at the school gate.” Savvy investors, customers and talented employees are losing patience with dinosaurs and will move to more forward-thinking companies without looking back. There was virtually unanimous agreement at ParadigmShift that technology is an essential tool in the drive to reinvent processes and business models to meet – and better yet, anticipate – emerging customer demands, industry trends, and business realities. But there was also a growing acknowledgment that technology shouldn’t be adopted for technology’s sake, and that the dizzying array of new possibilities doesn’t mean that every new tool should be used by every company. 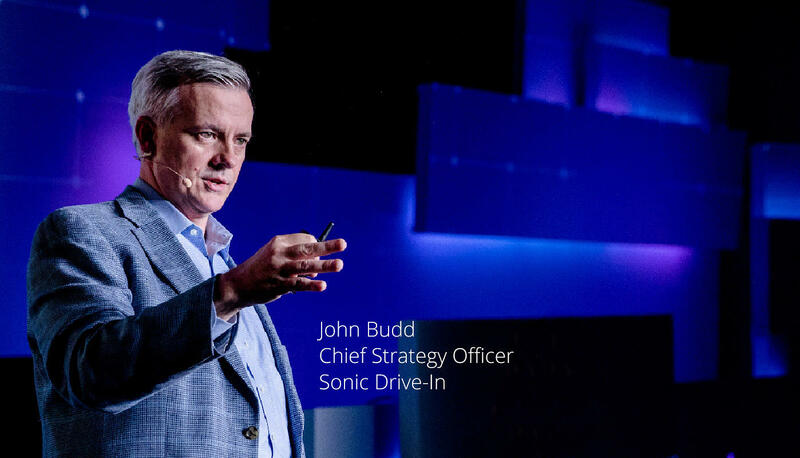 ParadigmShift made it clear the pendulum is swinging back toward a more realistic take on the role technology can, and should, play in a successful business strategy. Action may be required, but it needs to be quality action – which is defined by specific characteristics. Where Madonna encouraged you to ‘express yourself,’ Leonard Brody might say ‘disrupt yourself.’ He notes that in many cases enterprises content themselves with cosmetic changes - a fancy new face on a website built on top of crumbling infrastructure, or a half-arsed, underfunded, bolt-on innovation silo team - when new realities demand action that is far more ambitious and impactful. So what does a bold response look like? According to Brody, it might mean taking a sizable chunk out of your own core business. “Build the thing that will cannibalize your own business,” he advised. Better you than someone else, right? According to Leonard, a thriving company should aim to generate at least 10% of revenues from new products annually. Businesses must be willing to invest in units that explore new ventures with a degree of independence – and importantly, to let them fail. Bold action may also mean considering unlikely alliances, according to John Jimenez, CEO of VAKT Global, a consortium exploring the application of blockchain to commodities trading. VAKT brings together competing banks such as ABN Amro and ING, and energy giants like BP and Shell to tackle common challenges. In the commodities trading industry companies have traditionally been reluctant to share information as it is seen as a source of competitive advantage, making VAKT “a little bit of an anomaly,” Jimenez said. By pooling resources and expertise, the consortium can more quickly reach the required “tipping point” in terms of development and adoption for its solutions to benefit all members. Identifying and trying these types of formerly unthinkable models takes courage. 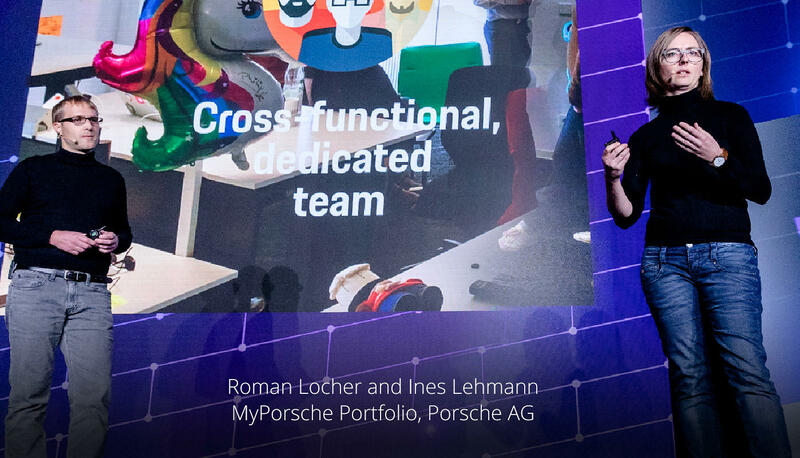 This highlights the need for senior executives to act as agents of transformation – or as Sven Lipowski, Director of Customer Solutions at METRONOM put it: “Not only do you have your functional job, you have a constant second job being the change engine.” Which brings us to our next action point. Intelligent machine learning and narrow Artificial Intelligence already make humans smarter at the work we do. 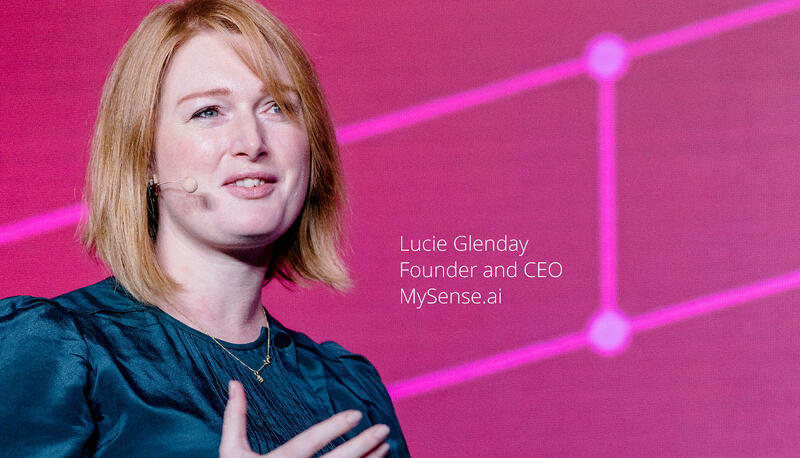 As ML and AI mature, humans and machines will focus on their strengths—human experience and intuition, the machines’ ability to process vast quantities of data—and will collaborate together to enhance our productivity massively. We call this shift Humanity Augmented. But it’s these “vast quantities of data” that raise questions. In an era of data gluttony, organizations convince themselves that they need more data, and they need it now. In reality, many organizations are data rich and insight poor. The data exists, but it’s stored in too many disparate places, it’s tough to process, or the lag is such that once it appears on the dashboard, it’s too late to help make decisions anyway. What’s worse is that data has a major trust problem. 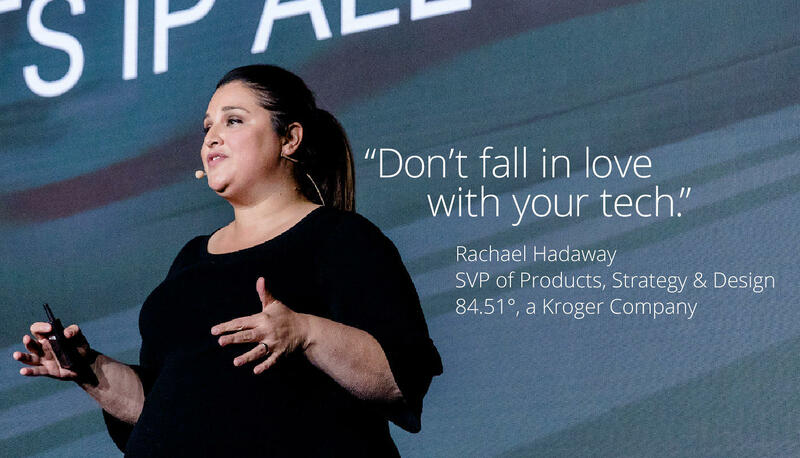 Rachael Hadaway, Senior Vice President of Products, Strategy, and Design at 84.51°, the data science subsidiary of grocery retailer Kroger, reset the big-data binge-fest by reminding us that more data is not a competitive advantage - having better (cleaner, different, more accurate) data is. In her experience, executives are making million and billion-dollar decisions every day based on data intelligence, but most executives are highly skeptical about data quality. To manage their data gluttony, businesses should start with simple questions to form the foundation of a data strategy. What are we measuring? Why are we measuring it? What else should we measure? If we had that information, how would we act differently? Then, moving beyond the basics, companies also have a suite of distinctly moral questions to contend with. Is my data biased? What are the implications of that? Who is at risk? As Rebecca Parsons, ThoughtWorks CTO pointed out “we have to accept that there will be consequences that we cannot predict.” But just because you can’t predict outcomes doesn’t let you off the hook. This makes sense from a moral standpoint, but also a legal and economic one: enterprises with a firm grasp on their data are less vulnerable to breaches and attacks and are better able to mine them for genuine intelligence. Technology can be an enabler of meaningful change. Data analytics, AI, and cloud-based platforms promise to create engines of customer insight and to help enterprises automate key processes that enhance efficiency and performance. Evolving Interactions like speech, gesture, tactile and mixed-reality interface promise to move us away from tapping, typing, and swiping to true multi-modal interactions. And while consumer and business applications of these evolving interaction paradigms will differ, the core outcome is clear: We must evolve our thinking—and our capabilities—beyond the keyboard and screen. Doing what’s right for most companies starts with a business goal, most of which have something to do with the people who matter the most. “All transformations are driven by a need, and that need starts with your customer,” said Surinder Singh, an executive general manager leading a change program at National Australia Bank. 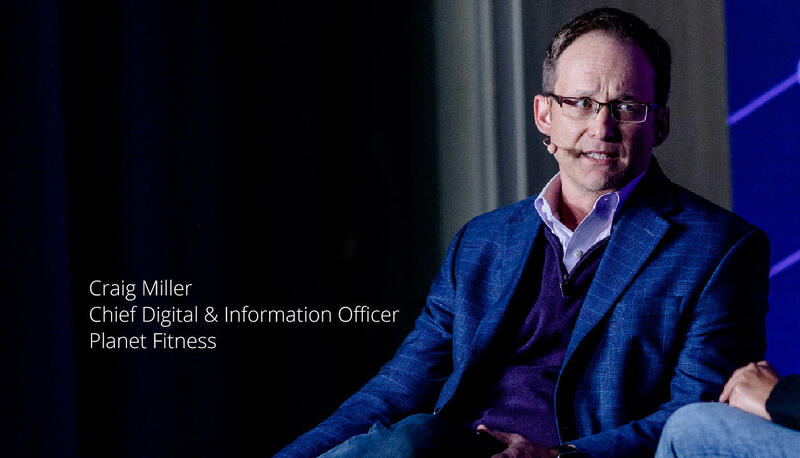 Starting with the customer means getting to know them; Chris Murphy said the most successful enterprises will “diligently face their customers and their customers’ experience.” In most organizations, this requires better access to better data, but also tearing down silos between employees on the front lines of customer interactions and those with the power to make decisions. Whether it’s for technical or business application, digital platform thinking is on the rise. But the word ‘platform’ is heavily overloaded, often meaning anything from SAP and Oracle through to cloud infrastructure platforms aimed at improving IT delivery. These technical delivery platforms are a good start, but we should look beyond to the next logical steps: platforms as catalysts that unlock business innovation, enable faster experimentation, and uplift technical capabilities. Two speakers doing just that are Planet Fitness and Sonic Drive-In. Executives from companies shared how they’re adopting digital platforms primarily toward the goal of extending personalized services beyond physical locations, and forging closer bonds with their customers. Planet Fitness is working on a connected digital ecosystem that will “go well beyond fitness into the wellness category” to bring together the physical gym, personalized training, nutrition information, fitness tracking, tips, and member benefits all in one place. A scalable, reproducible strategy that manages complexity well, enables rapid development, stimulates innovation, and creates new opportunity for growth. A digital platform strategy enables organizations to harness existing creative horsepower and experiment and innovate more efficiently. This diversity of skill sets and experience is increasingly vital at all levels of the enterprise. While technology talent is highly sought after and in short supply in many markets, focusing on hiring for STEM skills alone can be detrimental to the business. The value of high-level social skills like negotiation, motivation, persuasion, and storytelling is “rocketing, because the business world is still full of these weird, messy creatures called human beings, and we need a whole lot of human interfaces,” explained Andrew McAfee, bestselling author and Co-Founder, Initiative on the Digital Economy Principal Research Scientist, MIT Sloan School of Management. Leonard Brody further advocated hiring those with startup experience for their ability to build and navigate more nimble organizations. 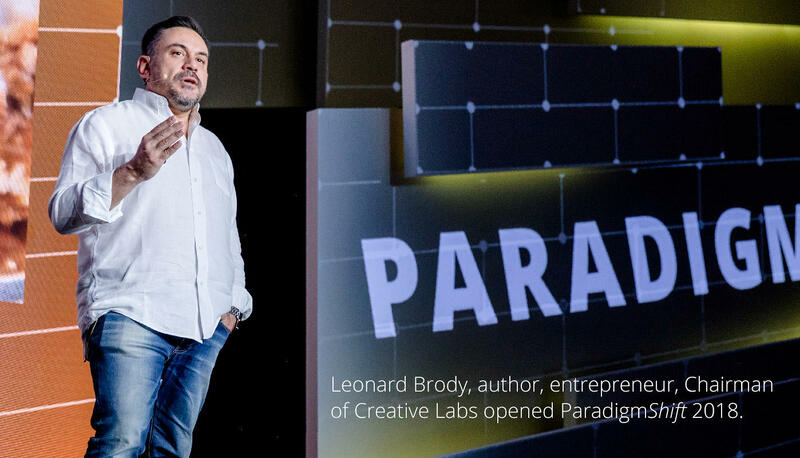 At the 2018 edition of ParadigmShift, the potential of technology as a platform for action was balanced with a palpable sense of pragmatism, humanity, and the challenges of incorporating new solutions into a coherent strategy as the business and social landscape shifts underfoot. Yet just as change has become a constant, data presents a possible means to manage it by providing a real-time source of insight into customer behaviors, and conditions that enterprises can factor into future planning. Of course, data can only go so far – it is up to the enterprise to translate these insights into customer-focused outcomes, even when they contradict established norms or practices, and to accept that the organization will be in a state of constant iteration. Sign up to receive Perspectives, our new publication with timely business and industry insights for digital leaders.